Go ahead and ask your local painters which one is better and chances are they will all be giving the same answer. In any case, a painter will be a bit more biased with their answers and for a very good reason. We’d of course always argue that paint is superior, but unlike most we’re happy to put our money where our mouths are, in terms of explaining why. Just to be clear, we will never disregard wallpapers as a choice because ultimately that will be your decision to make. Or that wallpaper cannot look simply fantastic. It can, in fact there are certain rooms where wallpaper suits the bill better than anything else out there. Unless you’re doing it for a business office, clinic or you’re going for a specific theme for a room, we really believe that when weighing up the pros and cons of both, paint will always be the better choice. Personal preference will always play an important role, but when it comes to several of the most important points to ponder, paint shines through as the way to go. Painting may seem a tedious job compared to plastering a pieces of paper and making sure they are all aligned. This is where you are mistaken. In fact, it has the potential to be nothing short of a nightmare. In the instance of patterned wallpaper in particular, it is almost inevitable that you are going to end up with a few bits and pieces that do not line up with each other perfectly. The same also goes for removal, there are times though that that certain coatings of paint will need removal, it is a walk in the park compared to the process of removing wallpapers. The only thing messier and more time consuming than putting up wallpaper is taking them down in the future when they begin to age or when you to decide to remodel. And because you will usually get away with leaving the previous coat of paint in place, this means so much more opportunity for experimentation with new color. You wonder how the room will look with a totally different color scheme; you slap on the paint required. If you’re happy, you leave it as it is, but if you’re not satisfied, you get busy with another color scheme right away. 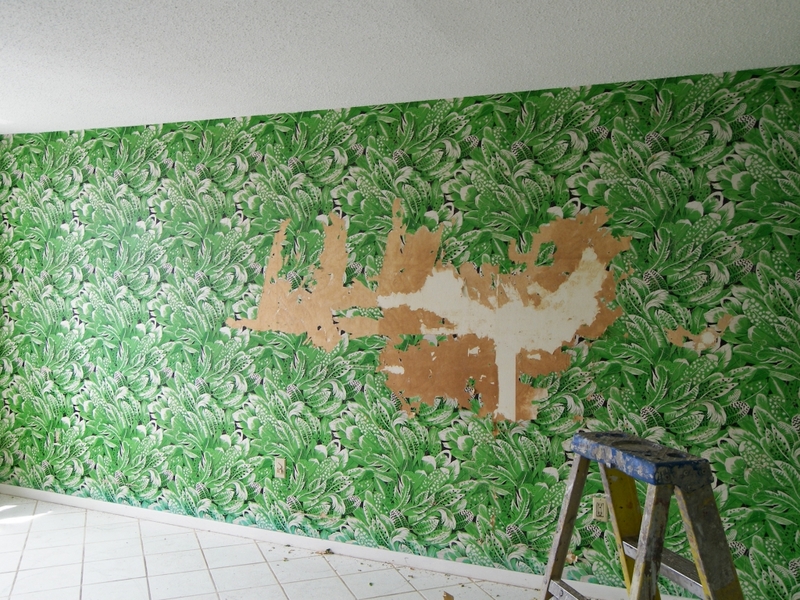 This is such an overlooked reason to consider painting over wallpapers. Not only are you free to be as bold as you like with the actual color scheme and patterns you choose to go with, but you can also mix any and all paints out there to come up with something completely unique. You can even have artsy designs painted on your wall that you will never otherwise get with wallpapers. Plus with wallpapers, your choices will be limited with what a supplier/provider will have. Generally speaking, although there are always exceptions, it works out considerably cheaper to paint the home than it does to use high-quality wallpaper. This of course depends on how much you spend on paint in accordance with what you would have spent on wallpaper, but in most instances paint represents far better value for money.